Donald “Dean” Duke was born in McPherson, Kansas, February 27, 1930 to Donald Vear Duke and Augusta Riffel Duke. He spent his early years in Durham, Kansas and graduated from Durham High School in 1947. He was baptized in the Kleiber pond and joined the First Baptist Church in Durham, Kansas in 1948. On December 20, 1948. He married Joyce Gloreen Janzen at the First Baptist Church in Durham, Kansas. To this union was born three daughters, Anita Joy, Debra Lynne, and Kimberly Kaye. 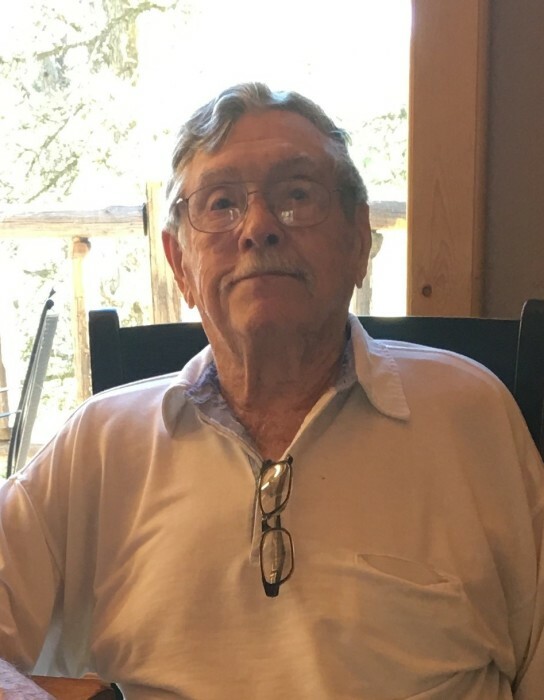 In 1950, at the age of 20, he started working for the Marion County Health Department where he inspected water supplies, restaurants, slaughterhouses and foster care homes. He also inspected milk sheds: Wolf Creamery in Marion and Franz Dairy in Hillsboro. In 1951 there was a flood and the Health Office in Marion was filled with water. Many records were ruined and hauled to the dump. Dean was in charge of directing flood cleanup including making sure wells were sanitized. He transferred to the Kansas State Department of Agriculture, Dairy Division in 1970. In 1986 he became Milk Sanitation Rating Officer and was responsible for conducting interstate milk shipper surveys on Grade A dairy farms and Grade A milk plants. He basically traveled all over the state and had nine field supervisors to assist. He enjoyed the travel, always wanting to see what was “over the next hill”. In 1992 he received the Outstanding Dairy Industry Award for his contribution to the dairy industry in Kansas. In 1993 he retired with 43 years of service. Dean was preceded in death by his parents and one daughter, Debra Duke May. Dean leaves to mourn his passing his wife of 70 years, Joyce, of the home; a brother, Gene (Shirley) Duke of Durham, Kansas; Daughter, Anita (Eddie) Schmidt of Durham, Kansas; Daughter, Kimberly (Rod) Sondergard of Wichita, Kansas; and son-in-law Steve (Missy & daughter Hannah) May of Marion, Kansas. Grandchildren: Melinda Schmidt, Jason (Denise) and Jeremy (Amanda) May, Matthew (Jessica) Sondergard and Sarah (Christian) Hansen. Great-Grandchildren: Paige, Taylor and Jayden May; Colt & Walker May. Vistitation will be at Zeiner Funeral Home in Marion, Thursday April 4, 6-8 p.m. Graveside service will be held at the Marion Cemetery at 9:30, Friday April 5 with a memorial service following at 11:00 at First Baptist Church, Durham, Kansas. Memorials for Dean can be given to the First Baptist Church, Durham, Kansas.